Dr. George Childs did his medical schooling at Eastern Virginia and completed his internship at the San Antonio Uniformed Services Health Education Consortium. He has undergone residency and fellowship training at the Walter Reed Army Medical Center. 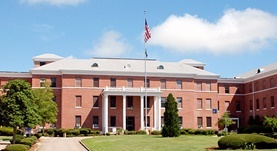 He is a board-certified pulmonologist and currently practices at the Central Alabama Veterans Health Care System. Dr. Childs is a member of the American Medical Association.